Ever since Harry Potter and the Deathly Hallows - Part 2 closed out the beloved Harry Potter movie and book franchise, fans have been clamoring for more from this magical universe. Last year, author J.K. Rowling announced that she is creating a new stage play entitled Harry Potter and the Cursed Child, which debuts in London this summer and has been officially confirmed as the eighth story in the Harry Potter canon. Many have assumed that, eventually, this new story will be turned into a movie by Warner Bros., but J.K. Rowling shot down those claims on her Twitter page. Here's what she had to say, when responding to a fan who heard it was being turned into a movie. "You heard wrong, I'm afraid. #CursedChild is a play. #FantasticBeasts will be 3 movies, though!" A few months after Harry Potter and the Cursed Child hits the London stage, the Harry Potter universe will be expanded even more with the spinoff Fantastic Beasts and Where to Find Them, which is set 70 years after Harry and his friends first entered Hogwarts. That has also been confirmed to be the first in a trilogy of movies, with Fantastic Beasts and Where to Find Them 2 and Fantastic Beasts and Where to Find Them 3 being eyed for release in 2018 and 2020. The trilogy will follow the adventures of magizoologist Newt Scamander, played by Eddie Redmayne. 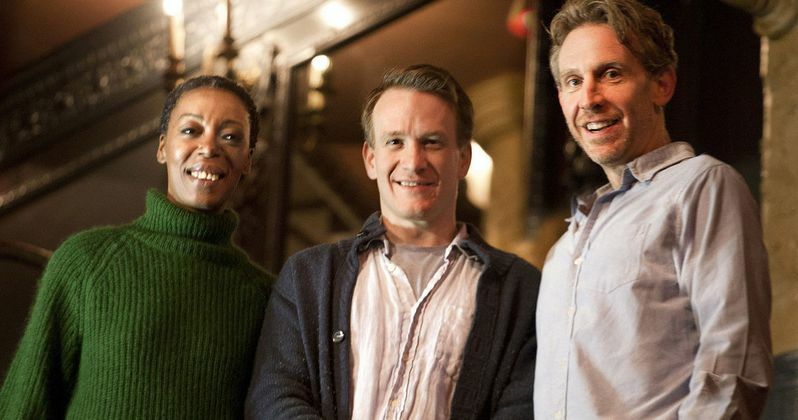 On the other end of the spectrum, Harry Potter and the Cursed Child is set several years after Harry Potter and the Deathly Hallows - Part 2, starring Jamie Parker, Noma Dumezweni and Paul Thornley as adult versions of Harry Potter, Hermione Granger and Ron Weasley. Harry is now an "overworked employee" at the Ministry of Magic, along with a husband and father of three young children. His oldest son, Albus is grappling with his family's legacy, while Harry is still struggling with issues from his past. For those who won't be able to watch Harry Potter and the Cursed Child on the London stage this summer, we reported last month that the official Rehearsal Edition of the script book will be available for purchase. The Special Rehearsal Edition of the script for Harry Potter and the Cursed Child Parts I and II will be published simultaneously in digital and print editions following the play's world premiere this summer, and will comprise of the version of the play script at the time of the play's preview performances. Theatre previews allow the creative team the chance to rehearse and explore scenes further before a production's official opening night. Harry Potter and the Cursed Child opens for previews several weeks before its official first performance on Saturday July 30, and the Special Rehearsal Edition of the script book will later be replaced by a Definitive Collector's Edition. The Harry Potter movie franchise took in $2.3 billion domestically at the box office, and over $7.7 billion worldwide. While fans will get to revisit this world of witches and wizards on the big screen again with Fantastic Beasts and Where to Find Them, and their sequels, are you disappointed that Harry Potter and the Cursed Child won't be adapted into a movie? Take a look at J.K. Rowling's tweet below, and stay tuned for more on Harry Potter and the Cursed Child.